Panasonic has announced the new Panasonic Lumix FX77 (FX78) – a new ultra compact camera it features a 12 megapixel sensor, wide angle 5x optical zoom lens (24-120mm), 3.5″ touch screen (only 230k), 3.7fps shooting, 1920 x 1080 Full-HD Movie Recording, 3D photo mode, intelligent auto mode, optical image stabilisation, SD/SDHC/SDXC support and 200 shot battery life with the provided lithium ion battery. 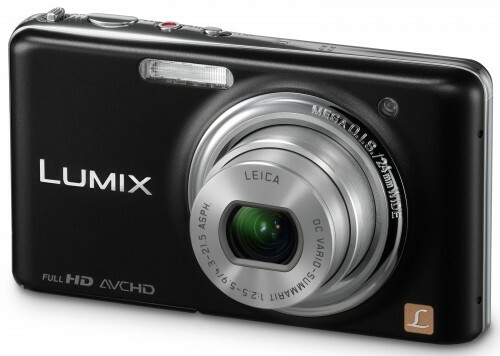 The Panasonic Lumix FX77 should be available at the end of February from Amazon UK. “Beautifully designed and packed with high-end features, Panasonic is pleased to announce the addition of the FX77 to the elegant LUMIX FX series. Featuring an all new 3.5-inch large LCD with Smart Touch operation, complete control is possible with a simple touch. Beyond this, Touch Auto Focus, Touch Zoom and Touch Shutter during recording, plus various Touch playback functions and 3D Photo mode are welcome additions to the award winning Lumix compact camera range.